Polaris, the American all terrain vehicle manufacturer added the oomph factor to its display area by bringing in Bollywood actress and model and model Gul Panag. 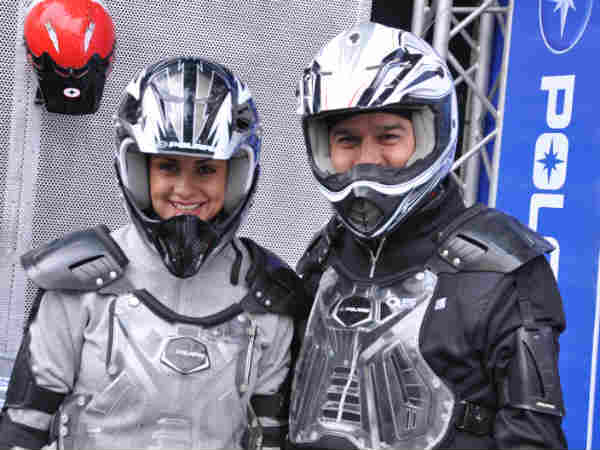 Gul Panag made the event special by walking in wearing racing gear. She is seen posing with Polaris India MD Pankaj Dubey.